Full color 36" x 24" custom printed yard signs. 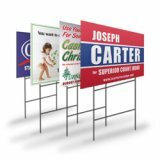 Our yard signs are FULL COLOR printed two sides. Simply upload your files and we do the rest. 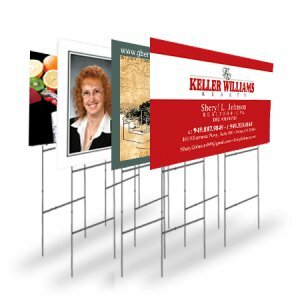 For the Oversized 36" x 24" signs, we recomend 2 Heavy Duty H-Stakes per sign to support the extra weight not only of the sign but the extra amount of stress created by the larger size in the elements of Mother Nature. Full color 36" x 24" custom printed yard signs on 4mm white corex . Simply upload your files and we do the rest. Our yard signs are printed two sides on 4mm coroplast.